Satchel Grande - Free Show! Satchel Grande at 9pm in the Beer Garden. 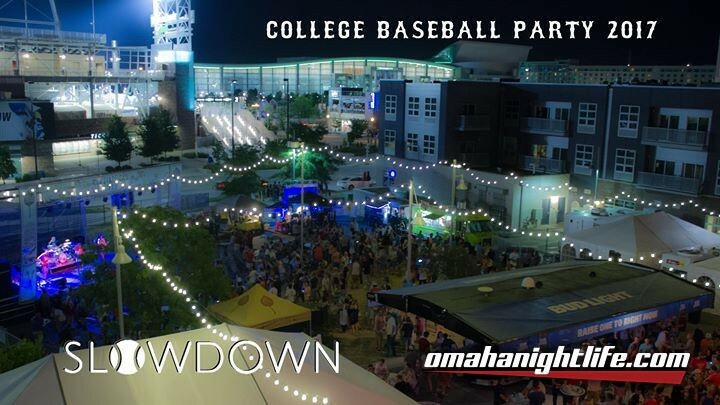 Join us for this show and beyond...it's college baseball time again in North Downtown as the College World Series returns! Open daily from the times below until 2am. Never a cover charge! Join us in our huge outdoor beer garden for cold drinks, food vendors, great tunes, and the time of your life! Free live music on our outdoor stage June 16/17 and DJ stage on June 24/25. Inside the air conditioned Main Room we'll have all the baseball games on our 20 foot HD screen, with live music and DJ's on select nights. Check theslowdown.com for a full schedule.